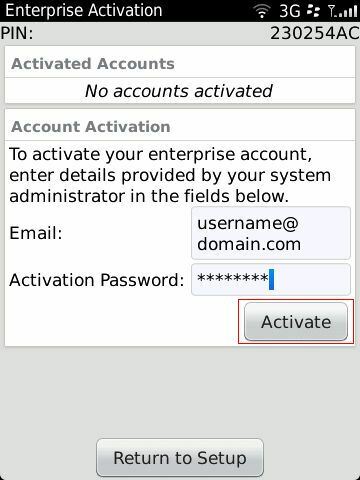 BlackBerry - How Do I Enable My BlackBerry® Using Wireless Enterprise Activation? 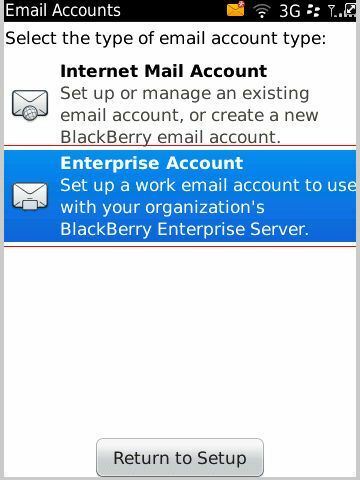 for Blackberry OS6: Home Screen > Setup > Email accounts >choose Enterprise. 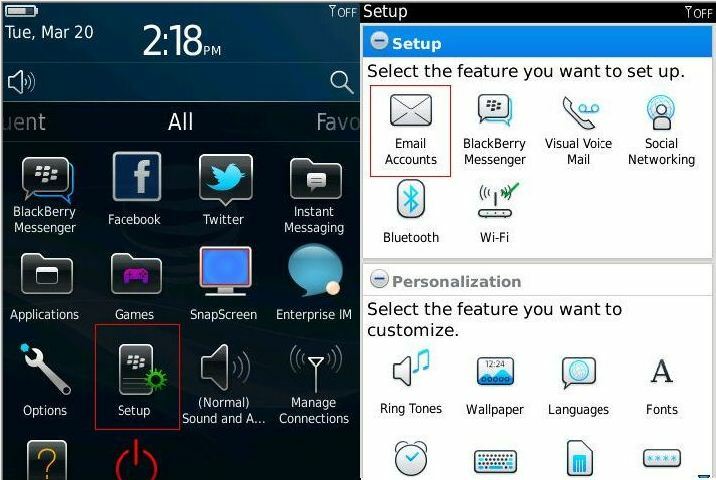 If it doesn't allow to choose Enterprise, navigate to Home Screen > press BlackBerry button > Open Tray > Options > Device > Advanced System Settings > Enterprise Activation. Type the appropriate email address and activation password that were provided in the activation email and click Activate. If you are prompted for the Activation Server Address, leave it blank. About the password: This activation password is used only to activate your mailbox. The password is invalid after five unsuccessful activation attempts, and if you do not activate your handheld within 48 hours after the password is created, the password expires and cannot be used. When the handheld is successfully activated, the password is removed from the BlackBerry Enterprise Server. After you choose Activate on your handheld, your device sends an activation request email to the user’s email account. This email contains information about the handheld such as routing information and the handheld’s activation public keys. The BlackBerry Enterprise Server sends the handheld an activation email response that contains routing information about the BlackBerry Enterprise Server and the server’s public keys. Device and server establish and verify keys. The BlackBerry Enterprise Server and the handheld establish a master encryption key. Both the BlackBerry Enterprise Server and the handheld verify their knowledge of the master key to each other. If key confirmation succeeds, the activation proceeds and further communication is encrypted. BlackBerry handheld displays verification status. Service books are sent. You can now send and receive messages on the handheld. 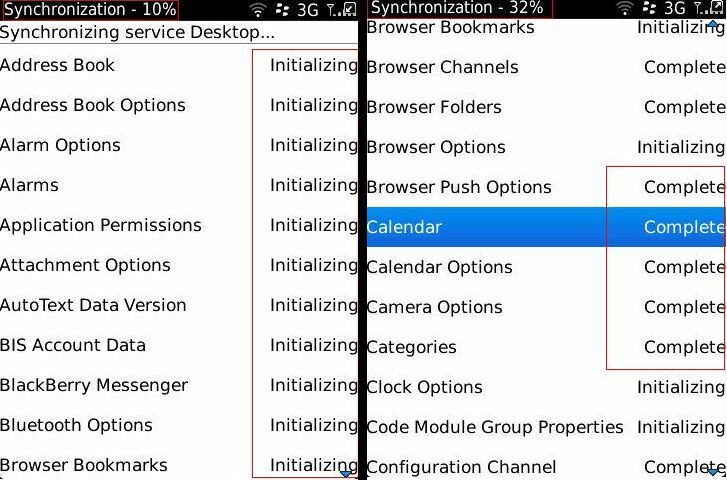 The BlackBerry Enterprise Server sends appropriate service books to the handheld, such as the messaging service book, wireless calendar service book, and browser service book. BlackBerry handheld displays activation status. Back in the Setup menu you can see that the email account is configured. Note: On initial sync, only messages less than 7 days old are forwarded to the device, and no more than 350 messages total are synced to the device. 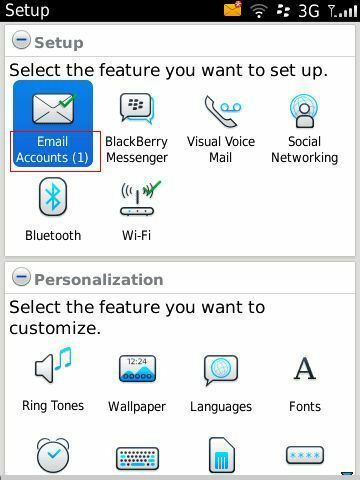 This a default setting of the BlackBerry Server and it cannot be modified in the shared environment.